It’s no secret that fire is a serious concern during construction projects because many building materials can be exposed to ignition sources. For instance, there is the potential for Spray Polyurethane Foam (SPF) insulation to be exposed to open flame from welding, cutting torches or other ignition sources during certain construction phases. And while fires involving SPF during construction, retrofit or repair are rare, they can happen from time to time. Conduct regular job safety meetings in order to develop a safety plan before, during and after SPF application. Always review each spray foam manufacturer’s installation instructions for specific safety recommendations. Also, carefully read the manufacturer’s installations instructions regarding the thickness of the foam per pass, especially because the SPF may scorch or ignite when installed too quickly to reach the desired thickness or installed in too thick a pass. For retrofit or repair projects, decide whether foam products are present before any “hot work” is performed. If so, follow the same fire prevention procedures as for new construction. 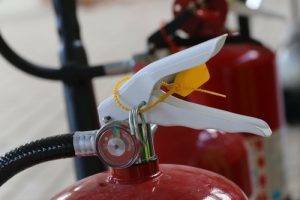 If spray foam is being installed near potential ignition sources, a fire watch may be required. Always post warning signs and labels on a job site where contractors performing “hot work” are most likely to see them. This should be obvious, but never, ever allow smoking on the job site. Schedule application of required thermal barrier as soon as realistically possible. And always keep other contractors from working in the application area until a thermal barrier has been applied over the foam. While spray foam is a very effective and increasingly popular insulation material, those who are applying it must always handle it with care. There are a number of critical safety measures and precautions that must be followed by spray foam insulation professionals. Contact Intech Equipment and Supply for more information about SPF safety measures and precautions affecting your company today.